Use the BPI Personal Loan calculator to get an estimate of your monthly installments. The Regular calculator is for employed, self-employed, OFW or allottees while the Seafarer calculator is for our Seafarer Program. This is computed at a monthly add-on rate of 1.2%. Actual amounts may vary based on prevailing rates when you apply. Make sure that your total expenses is within your monthly income to manage your budget well. We recommend to keeping your total Monthly Loan Obligations within 20-30% of your monthly income so you’ll have enough to comfortably fund your needs and monthly loan payments. 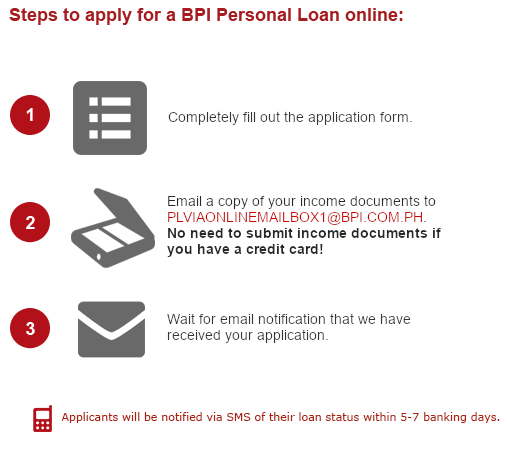 Ready to apply for a BPI Personal Loan? This is computed at a monthly add-on rate of 1.5%. Actual amounts may vary based on prevailing rates when you apply.